I have just spent a year in Liverpool off and on, dispersing and disposing of my late mother’s house and effects, and re-acquainting myself with the city. It is a place beguiling and infuriating in equal measures, and over the decades I have known it, prone to peaks and troughs which don’t necessarily chime with the rest of the UK. It has been a large recipient of Objective One EEC money, and its citizens recently firmly voted Remain in appreciation. The house was finally sold to a retired couple from Wandsworth, who were very happy to see that the sale of their London property could buy them rather a nice house in a leafy park within a stone’s throw of the river, and have a substantial amount left over. What else will they gain? A world class orchestra at the Royal Liverpool Philharmonic, two cathedrals, the Tate Gallery, and a handy Easyjet airport down the road to whisk them away to European cities. And one of the best bakeries outside London. 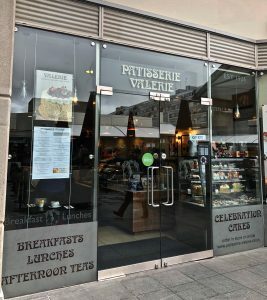 Independent bakeries are currently very much on trend. Lucky us, the consumers. For it was not always the case. In the nineties I ran a small chain of sandwich cafes in Liverpool and Manchester; a good deal of time was spent encouraging and nurturing bakers to make the bread I wanted. It always seemed to me a hard way to make a living: dependent on staff working unsocial hours; and trying to get across to UK consumers that good bread should cost pounds not pence. I had sold my businesses in the North West before the 2008 recession, which seemed to be a catalyst for attracting redundant bankers to the womb of a baking environment to soothe their woes. As a food and restaurant consultant in London, I would get calls from ex-financiers convinced that developing their Grandmother’s chocolate brownie recipe was now the way to make their fortune. Similarly in 2011, Ben MacKinnon, fed up with office life, started E5 Bakehouse in London Fields. His influence is everywhere in London and he is now educating other bakeries to produce sourdough with proper slow fermentation. And some enlightened London restaurants to bake their own too. Ben has set the bar to a new level. Jamaica Street is where the buzz is currently at in Liverpool, and it is in nearby Bridgewater Street that you’ll find Baltic Bakehouse, run by brother and sister Sam and Grace Henley. The fit-out is pared down, but not in a pretentious way. After all, it is primarily a functional production space for the matchless sourdough bread and pastries pulled daily out of the ovens. The rough wooden tables and chairs are ancillary. Sam is a serious baker who is clearly passionate about his craft, and although self-taught, understands what true quality is. The silky vanilla cream custard tarts are completely to die for. 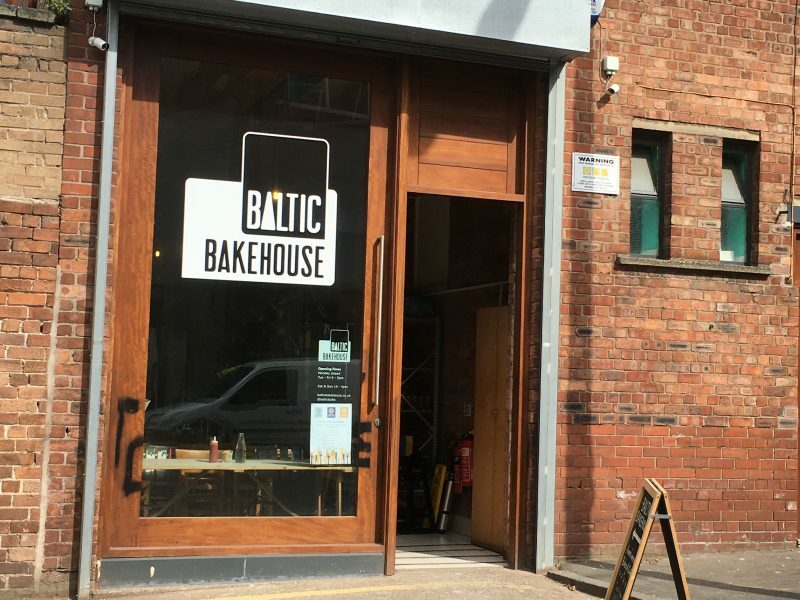 In my experience, Liverpool people have always appreciated good value for money on what ever level, and they have certainly taken the Baltic Bakehouse to their hearts. At breakfast, builders and media souls along with local residents rub shoulders together while drinking delicious coffee out of tin mugs. None of your Italian cappuccinos here. Instead, huge servings of coffee in cafetieres are presented with a timer for the perfect brew. Homemade soup and doorstep sourdough sandwiches sustain the locals at lunchtime, while a steady stream of customers collect bread and cakes to take home, throughout the day. As I sit at my desk in London, I can just taste the cooked tomatoes on white sourdough toast liberally strewn with thyme and basil which have sustained me through the last year, together with the jam or lemon custard doughnuts which are second to none. Trains leave every hour for Liverpool from nearby Euston and I’m sorely tempted.